Welcome to 334 Pine Ridge Rd, luxury new construction in an ideal NorthShore setting. 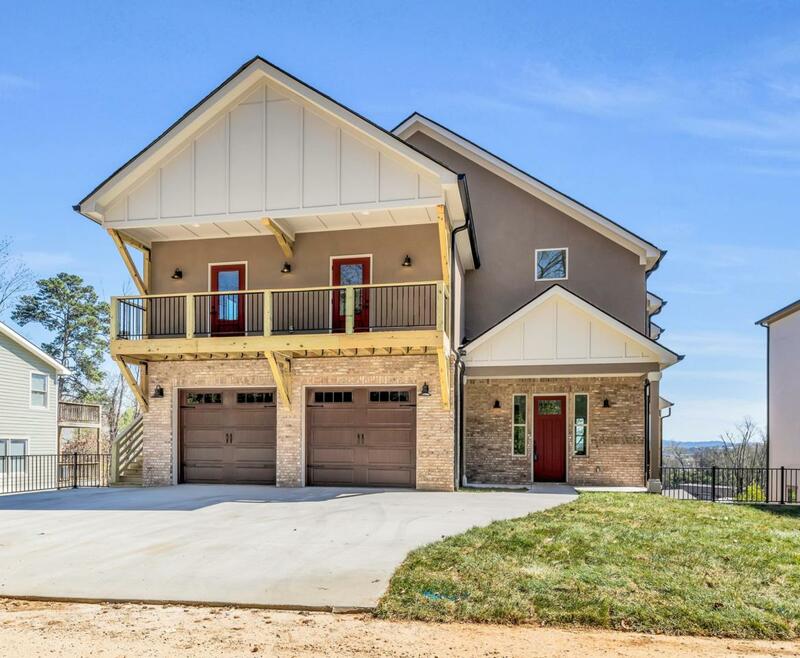 This 6 bedroom and 5 1/2 bathroom contemporary home sits just off of Cherokee Blvd and features a spacious, open floor plan with hardwoods throughout. The great room includes a stunning fireplace and an abundance of natural light. The gourmet kitchen offers rich cabinetry, quartz countertops, and a grand island. The owner suite boasts scenic city views, double closets, an exquisite walk-in shower, luxurious freestanding tub, and quick access to the laundry room. On the second level, there are 2 additional spacious bedrooms each with their own full bathrooms, as well as a private 2 bedroom suite with a separate entrance, kitchenette, and living area.This space is ideal for a professional office, teen/in-law suite, or Airbnb rental offering the potential rental income of $1,500 a month. The fully finished basement also includes a kitchenette and full bathroom, allowing for additional family space or an apartment rental of up to $250 a night on Airbnb. The attached 2-car garage is ideal for personal use, while the side driveway offers separate parking spaces for tenants or guests. Scenic covered porches provide additional entertaining space, and a third floor indoor viewing room showcases the stunning views of downtown Chattanooga, the bridges, and NorthShore. Don't miss your opportunity to own this unique luxury home with significant rental income potential. Call today for your private showing!